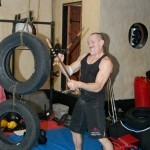 Paul Cox is the founding member of Wild Geese Martial Arts. Since taking up martial arts back in 1977 he has trained in several martial styles, most notably the Filipino Martial Arts and Kenpo Karate. 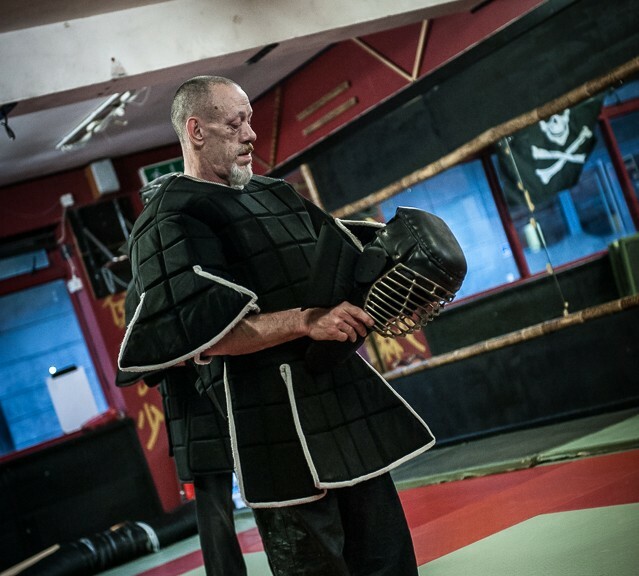 He was instrumental in bringing the Filipino Martial Arts to Ireland when he became the representative for Rapid Arnis, he has since travelled to the Philippines on several occasions and regularly trains privately with Doce Pares Grandmaster Danny Guba. Paul was recently awarded a black belt in Doce Pares “Multi Style” Eskrima, and is one of the few Europeans officially registered in the Doce Pares Headquarters. His Kenpo lineage is no less impressive. 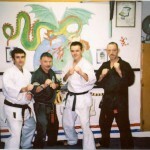 Paul holds black belts in traditional Kempo and modern Kenpo having learned from Sifu’s Don Cassidy and Shay McNamee. During a long career in the security industry, plus time spent travelling to far flung corners of the world, Paul has had his martial prowess tested on several occasions, he bears the scars of some of these encounters even today. This real life experience in applying his martial training has lead him to formulate his own method of training. 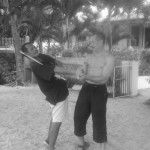 Kenpo Cubano can now be seen practiced by security forces in The Gambia, Cuba and parts of Mexico. Paul also has a huge experience of strength and power training, which he applies to himself in order to spar with lads less than half his age and without his injuries. His strength & conditioning methods ensure it’s always the young fellas that run out of steam first. 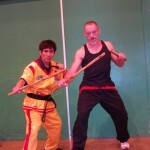 Paul Teaches Doce Pares Eskrima & Kenpo every Tues & Thurs from 6pm. He runs additional classes on Fridays and Sundays for experienced students. Paul is also available for Private Training and for Workshops, please contact us to book.